Is there a connection between Urinary Tract Infections and incontinence? Urinary Tract Infections (UTIs) can cause frequent urination and a constant urge to urinate. A person with an ongoing UTI can also experience sudden incontinence or an increased severity of incontinence for example. So, if a person suddenly experiences symptoms of urge urinary incontinence, one possible cause could be a UTI. Urinary incontinence can affect anybody at any age, but it is more common when we get older and in connection with other medical conditions. Therefore, it is not uncommon that people with urinary incontinence also have additional problems that contribute to the higher risk of a UTI. Some examples include not being able to completely empty the bladder, reduced immune defence functions, and chronic illnesses. Bacteria thrive in moist environments, so reduce the risk of getting a UTI by using high quality TENA Incontinence products with a dry surface. Clean and dry the skin gently before using a new product. Contamination with faeces is a major risk of infection due to the high bacterial content. So, if a person also has bowel incontinence this can also mean a greater risk of getting a UTI. This is why it’s important with proper hygiene routines and perineal care, besides individualized toileting routines that facilitate complete bladder and bowel emptying. 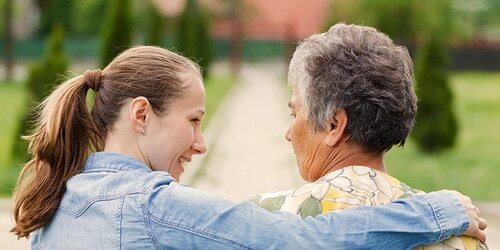 Tips on financial planning for caregivers.